Where to get low cost, high quality hair transplants? Medical tourism has always been in the forefront for UK and Irish patients to save on local treatment costs. It is a well known fact that you need to travel abroad to cut the costs. With plenty of budget airline options dental holidays, hair transplant trips seem to be affordable and viable for most British and Irish patients. Low cost airlines made it possible to choose your dentist or hair transplant specialist outside your country. Strange as it may sound but not impossible at all. Once you are out of budget for detrimental treatments or you want affordable cosmetic surgery your options have grown with a countriy like Hungary. Why is Budapest ideal for hair transplant? 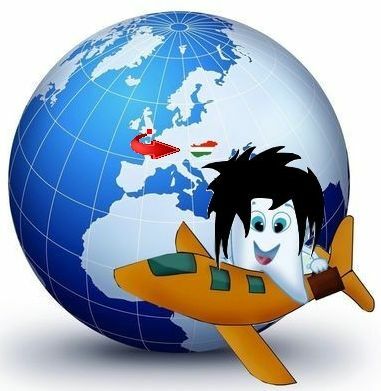 In less than 3 hours (budget airlines) you can see a doctor or a specialist in Budapest, Hungary. There are a couple dental and hair clinics that target UK and Irish patients with their services. Visitors to such clinics get high quality treatment paired with low prices. Real value for your money, indeed! No waiting lists, reasonably priced medical services are available at the highest standard you can expect. Staff, doctors and all members of such medical teams speak excellent English, have an open-minded approach and experience with foreign patients. Basically you can feel at home when first entering the consultation rooms in Budapest. Hungary has earned its name in medical tourism – the country has been in the main stream of dental tourism and has become one of the hot spots for hair restoration services. Clinics engaged in medical services to English patients take care of their reputation and do their best to maintain the well deserved praise coming from satisfied clients and patients. No wonder Hungary can claim the tag ‘Best place for medical services abroad’. Read hair transplant for men and women and dental implants sections for more details! Discover valuable information on both treatment types to make an informed decision and consider a complete makeover in Budapest, Hungary! Watch our hair transplant videos to get an inspiration about how hair restoration works at our hair clinic. Find out more about PRP hair loss treatment and hair follicle density improvement options! What makes it so cheap in Budapest, Hungary? Several factors play a role but generaly speaking it is the lower level of wages and salaries that make it possible to cut prices. What is cheap for a Briton can be expensive for a native Hungarian as the average wage is about €500 – you can imagine what a difference it makes. Cosmetic surgeons, dentists are dedicated to provide medical services to those who can afford. 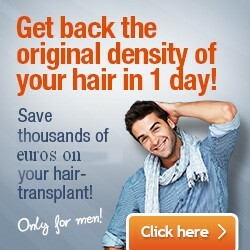 Check out our prices for hair implants to see how much you can save in Budapest.